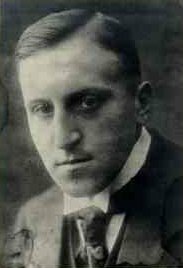 Carl von Ossietzky (3 October 1889 – 4 Mey 1938) was a German pacifist an the recipient o the 1935 Nobel Peace Prize for his work in exposin the clandestine German re-airmament. He wis convictit o heich traison an espionage in 1931 efter publishin details o Germany's violation o the Treaty o Versailles bi rebiggin an air force, the predecessor o the Luftwaffe, an trainin pilots in the Soviet Union. In 1990, his dauchter, Rosalinde von Ossietzky-Palm, cried for a resumption o proceedins, but the verdict wis upheld bi the Federal Coort o Juistice in 1992. This page wis last eeditit on 17 November 2016, at 22:01.